Individuals may use this service up to 4 round trips per month. Pick-up time begins at 6:00 a.m. and rides must be completed by 5:00 p.m.
We use Assisted Transportation exclusively for all our clients' medical and essential business appointments. 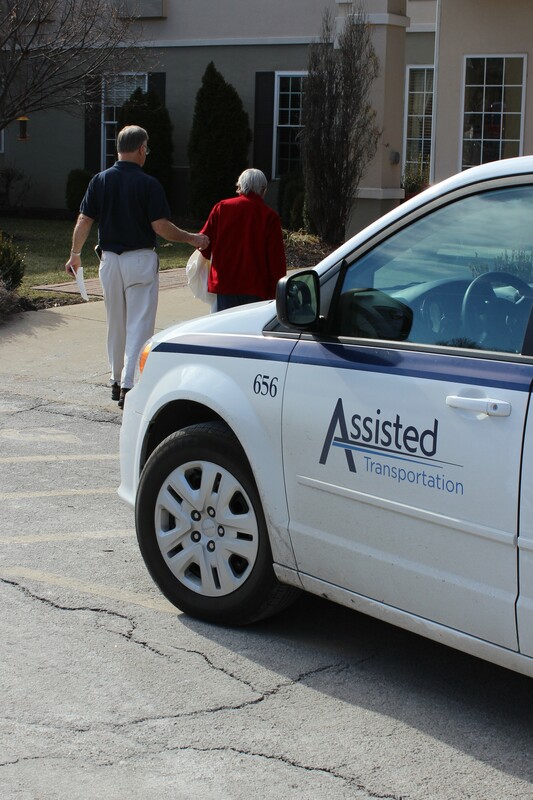 New and existing clients can call Assisted Transportation directly to enroll and schedule all appointments. You must schedule your ride no later than 2:00 pm the business day before your appointment. Transportation services are provided regardless of income. We will travel anywhere within a 50-mile radius of your home for the above-stated flat fee. Please note: if you qualify for transportation through Medicaid or VA, you are not eligible for our transportation. For northern Clay County cities, CCSS funding supports group shopping trips. Call OATS at 1 (800) 480-6287 for a schedule. Liberty Access Bus provides transportation (to doctor appointments, pharmacy and grocery store) within Liberty City limits to all senior citizens age 60 and older or persons 18-59 with a disability. Coupon books cost $10 for 10 coupons; 1 coupon needed for each segment of trip. The service operates Monday-Friday, 8:30 a.m. – 4:30 p.m. Reservations are required. 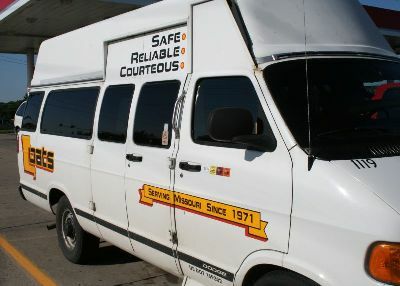 Call 816-439-4395 or see City of Liberty Access Bus. OATS (Older Adult Transporation Service): 1-800-480-6287. See OATS website for northern Clay County schedule. Kansas City Area Transportation Authority (http://ridekc.org/) includes these options. Ride KC Bus - regular bus service; base fare is $1.50. A $3-day pass is available. Seniors and riders with disabilities can qualify for reduced fares. 816-221-0660. Ride KC Flex for Gladstone, North Kansas City and Tiffany Springs is curb to curb service for those who cannot get to a bus stop. Base fare is $1.50 with day passes available. In Flex service, buses deviate from a fixed route and operate similar to a taxi. This type of service operates in a specific geographical area for each Flex route, and requires riders to make a reservation 24 hours in advance. Limited service days and hours. To schedule service: (816) 346-0346. Ride KC Freedom: Reduced fare, paratransit service for older adults and disabled; personal care attendant can ride free with applicant. An application must be submitted before you can ride, followed by in-home assessment for ADA eligibility, so plan ahead! Trips may be scheduled between 1 and 14 days in advance. Reservations or information: 816-842-9070. Ride KC Freedom on demand: 24/7 taxi service in Z-Trip vehicle; non-ADA service. Age 65+ can get reduced fares by submitting application for eligibility. 816-842-9070. Saint Luke's Hospital Care Van: a free community service for Saint Luke's patients. Transportation to Saint Luke’s North Hospital campuses (Barry Road and Smithville) for medical appointments. Must reside within 25-mile radius of the Smithville campus. Dialysis State Program: This is an income based program. They offer mileage reimbursement or vendor transportation. You must go through your social worker at your dialysis center. You need to fill out paperwork to see if you qualify.